Content Warning: Some of the descriptions from the beginning of this podcast/blog may be upsetting for some listeners. When we think about Opera, we imagine stories of mythical gods or tragic love stories. They’re also about topics that challenge us. This is one of them. AĦNA REFUĠJATI or ‘We Refugees’, is the first of its kind in Malta. With the current migration crisis as its backdrop, it follows a family’s physical and emotional journey fleeing war, in search of safety in Europe. Right from the opening scene, audiences are thrust into their story. That’s the Opera’s Artistic Director, Mario Philip Azzopardi. 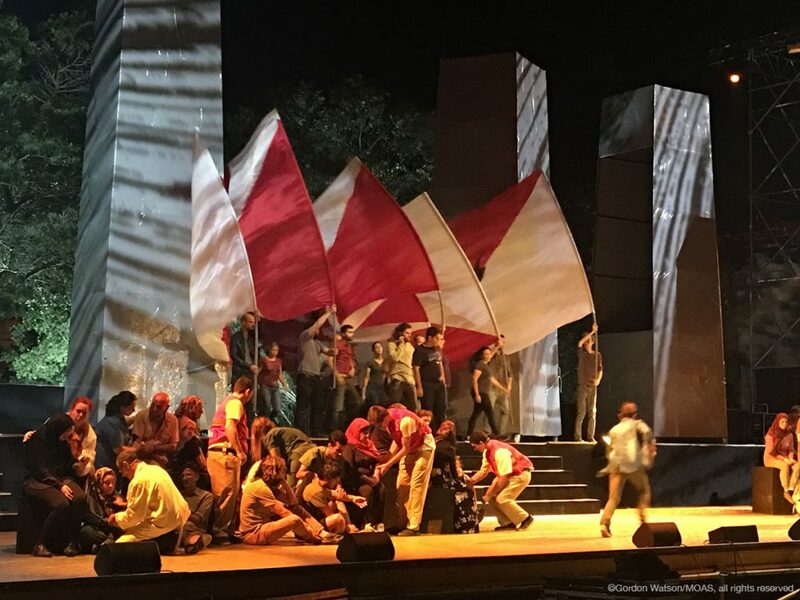 After a long career in TV and Film, Azzopardi wanted to write an opera, one that exploits its visual and musical impact but also tell a relevant story of our modern times; refugees and migration. It’s a problem, one he wants Europeans to stop running from and work towards solving. 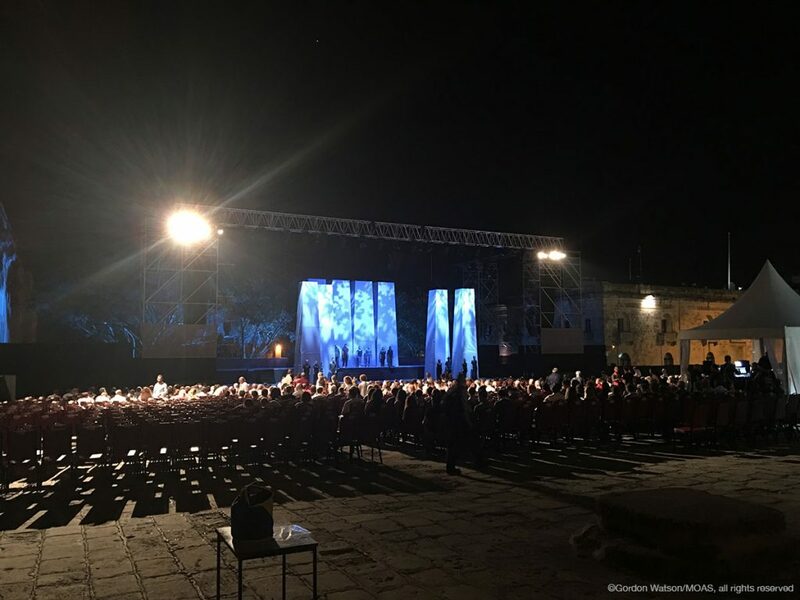 The opera performed all in Maltese, brings together a cast of well-known local and international talent, this time singing without a live orchestra. Miriam Gauci is one of them. She plays Shari, wife to Eleja and mother to her three children Hamid, Saja and Darit. At first, she was hesitant about the role but she says that Malta’s own migration history carries strong parallels with the current situation. What I thought about in myself was that even if you look at the Maltese history, after the war, thousands of Maltese had to leave the island to start life elsewhere. So, it’s not really refugees, its immigrants but still, one has to deal with another lifestyle, it’s not your country. All of these situations, this situation in this opera, they belong to real life, so it can be what’s happening now elsewhere in the world so it’s something that one should think about. I have to speak for myself as Catholics, I mean, don’t put any religion in this but I think that we should help everyone, anyone. It has to be that way. Just outside of Valletta is Il Fosos, Malta’s old granary stores and the temporary home to the open-air Opera. It’s a production that’s taken three years to make, from the writing of the story to the mammoth task of recording and arranging the music. On the stage are stood eight obelisk structures, all painted a cold grey. They’re an imposing plot device, changing scenes and showing the closure and breaking down of physical and abstract borders. Ever since the first deaths of migrants crossing the Mediterranean reached public attention, Malta has been directly involved. And, with recent political changes in Italy and Europe, the island nation has become a ground zero for debating who should accept rescued migrants. For the cast, performing has helped them get closer to a crisis they’d only seen on TV. That’s Spanish counter-tenor, José Hernandez Pastor. Playing the husband and father, Eleja, carries the weight and shift of the opera’s emotions on his shoulders. From fear and guilt to depression, Eleja tries to find a glimmer of hope to live for his surviving children. 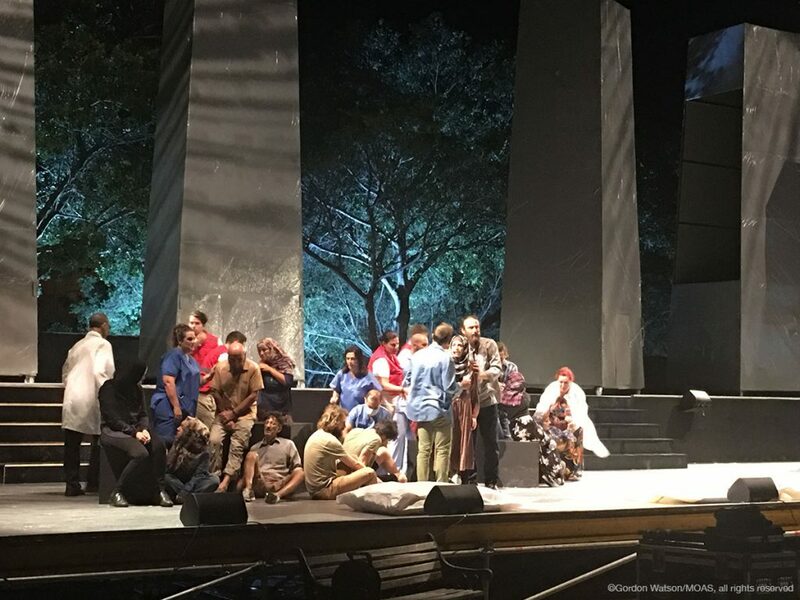 The opera has been generating attention and ever since the production was announced back in July, social media in Malta had ignited with comments both praising and condemning it. 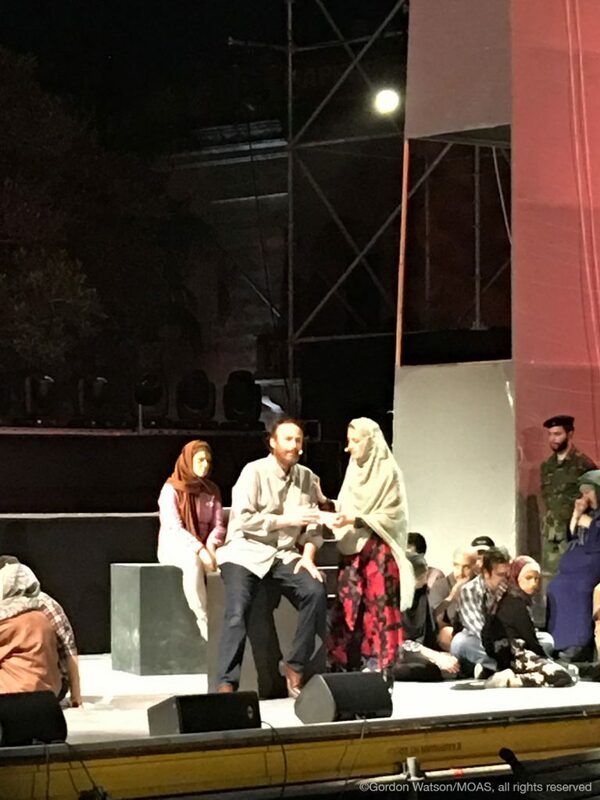 For Joseph Zammit, who plays Hamid, critical comments show that the opera is doing its job to open up the debate in Malta. 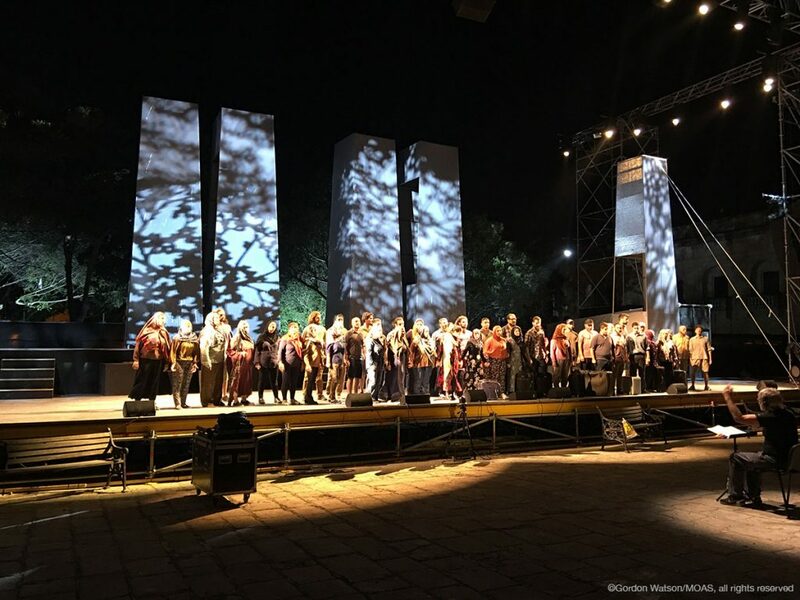 AĦNA REFUĠJATI is indeed a new type of opera and it wants to make the audience think and talk about a modern issue, using opera to deliver its message.